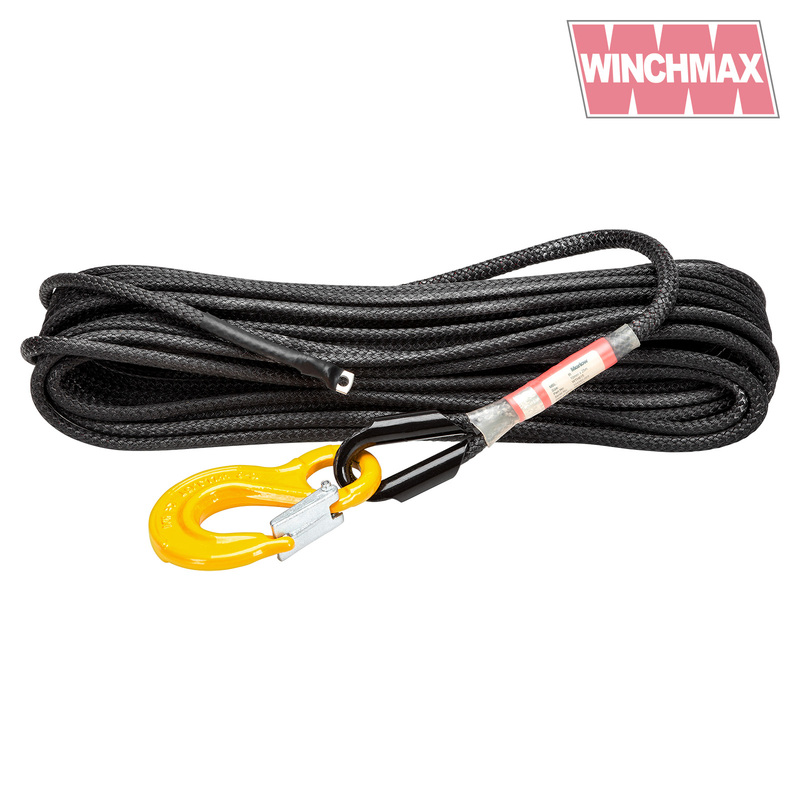 Professional Winch Rope Fitted with Safety Hook and drum terminal. 25m x 10mm, 8900KG average strength. Available from stock. Best price in UK. VAT invoice provided. Revolutionary design made in England by Marlow ropes using Dyneema® SK99 - the safest and highest quality synthetic rope you can get! 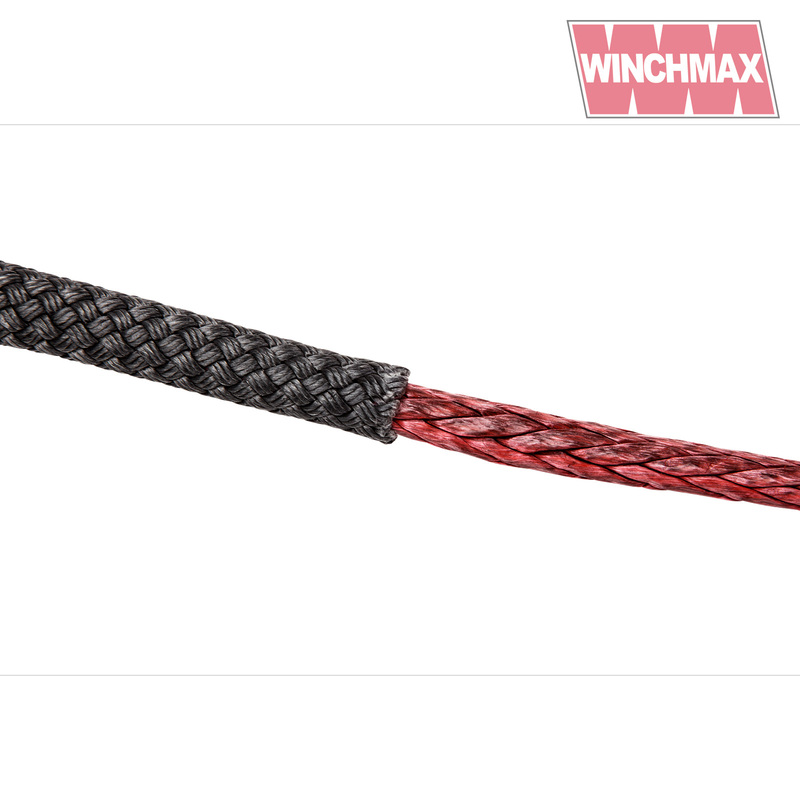 Unique outer braid provides protection from UV and other sources of external damage. This cover provides abrasion resistance to protect the core, however if it becomes damaged then the contrasting red coloured core becomes visible indicating that the rope should be replaced. Designed for serious 4x4, vehicle recovery, military and commercial applications. High strength: Weight for weight, Dyneema® is 15 times stronger than steel. 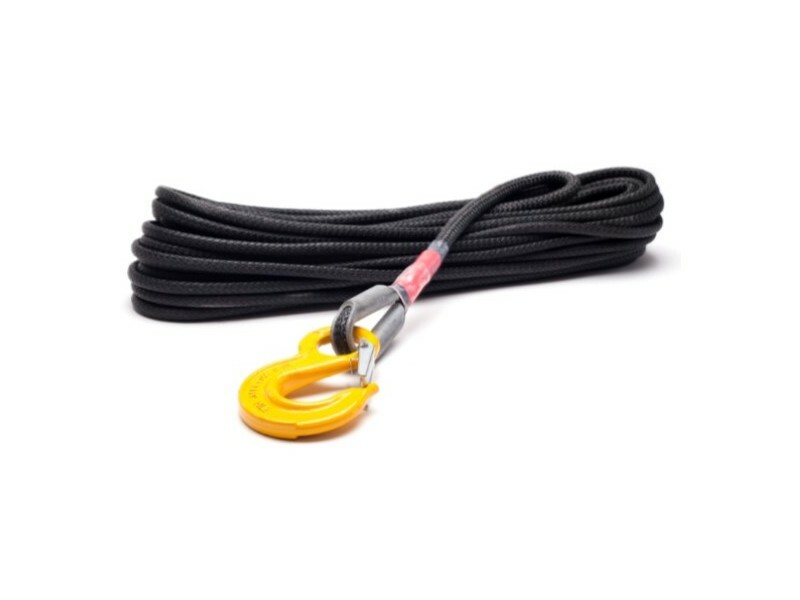 Light weight: Dyneema's light weight significantly improves the ease of handling winch ropes. Floats: An obvious benefit when winching in water logged conditions or flooded environments. No Kinks: Unlike steel wire, Recoverline will not kink and loose strength. 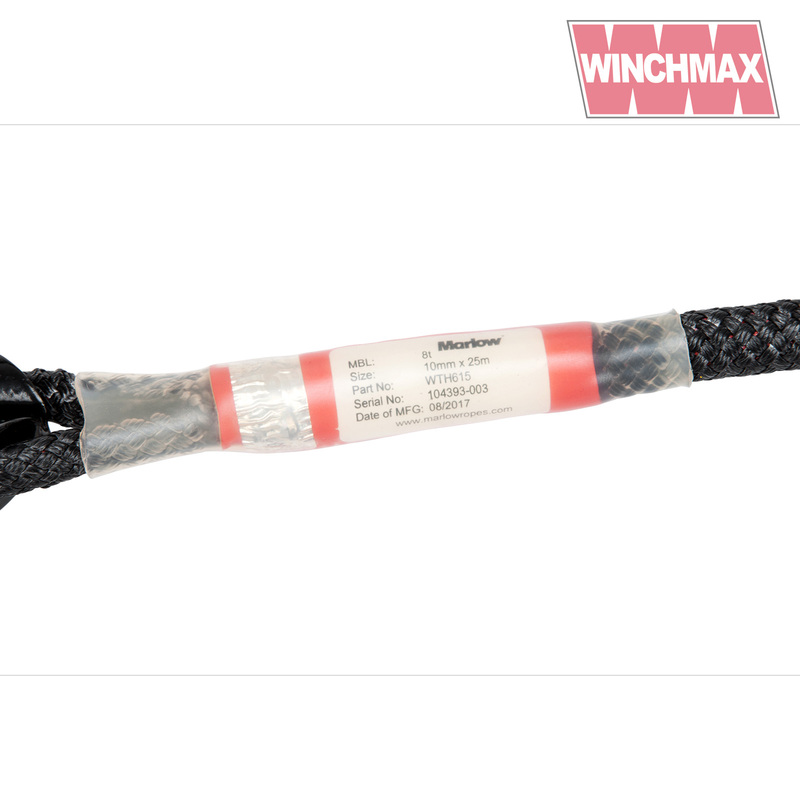 No splinters: Handling steel wire often results in wire splinters - no such issues with Marlow's Recoverline. Overlapping: Steel wire will crush and loose strength if overlapped on a winch drum. Marlow Recoverline will not lose strength when overlapped or crushed. No recoil: In the unlikely event of breakage there is virtually no recoil, unlike steel wire where recoil is extremely dangerous. 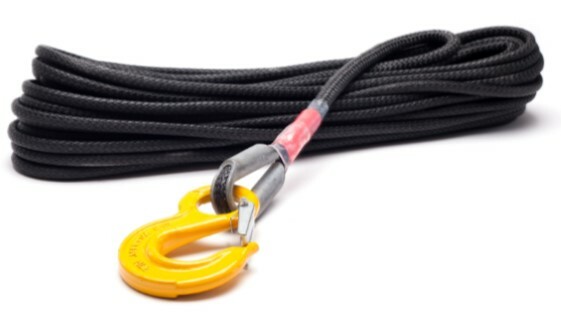 Extensive trials have also found that winch lines with Dyneema® need to be replaced less frequently than steel wire. Heat set and pre-stretched to maintain firm round cross section and enhanced handling characteristics. Recoverline is specified by the British army and the AA for its superior handling, increased safety and improved longevity. Dyneema® is an UHMwPE (Ultra High Molecular Weight Polyethylene) fibre developed by DSM in the Netherlands little over 20 years ago. An ingredient material in many of our ropes, Dyneema® is light weight and renowned as "The World's Strongest FibreTM". So, what makes Dyneema® so special? High Strength: On a weight for weight basis, Dyneema® is 15 times stronger than steel wire. 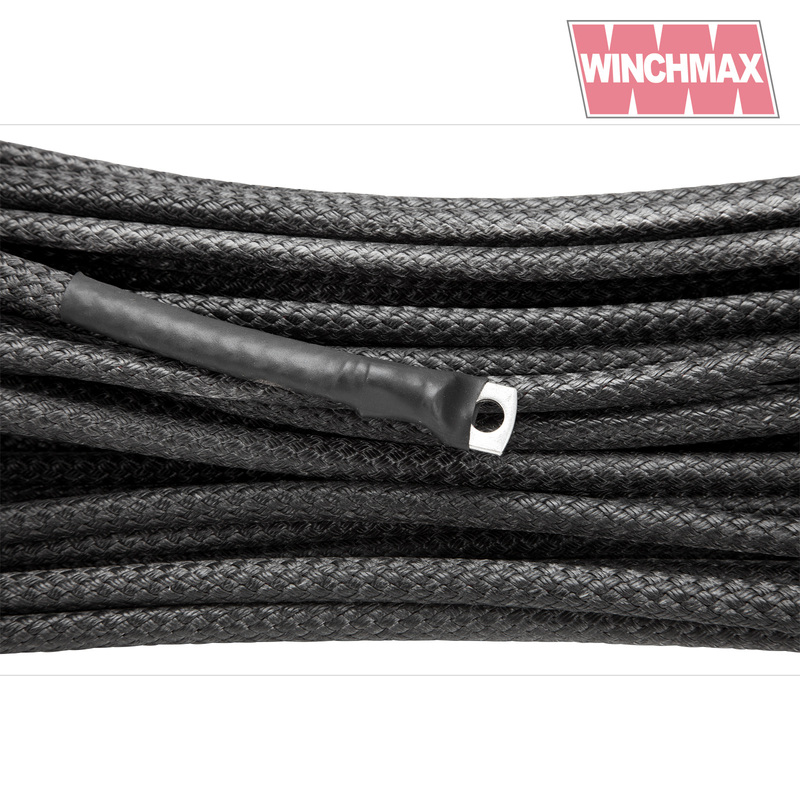 Light Weight: Strength for strength, Dyneema® is 8 times lighter than steel wire. Dyneema® also has a Specific Gravity of 0.97 which means it floats in water. Water resistant: Dyneema® is hydrophobic and does not absorb water, meaning it remains light when working in wet conditions and is there also more durable. Chemical resistance: Dyneema® is chemically inert, and performs well in dry, wet, salty and humid conditions, as well as other situations where chemicals are present. UV Resistant: Dyneema® has very good resistance to photo degradation, maintaining its performance when exposed to UV light. Ropes with Dyneema® are replacing steel wire in many varied applications and Marlow as ever are at the forefront of the Dyneema® revolution. 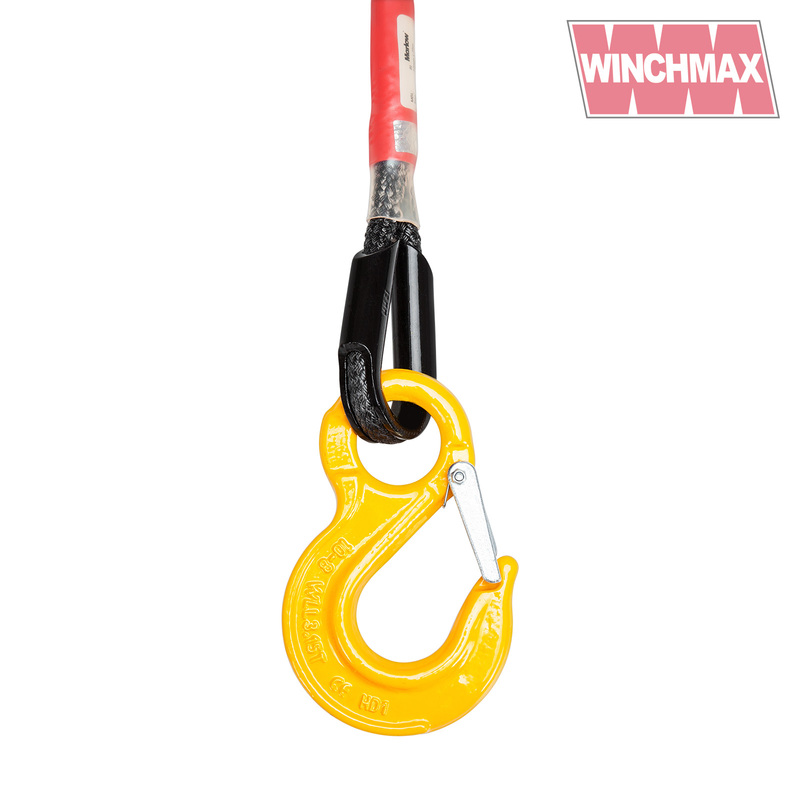 Chief among these new applications is wire rope replacement on winches. Originally pioneered in the recreational 4x4 market, Marlow is now pioneering the use of Winch Lines with Dyneema® in the roadside recovery market and other industrial winching applications. The benefits of replacing steel wire with Marlow's Dynaline winch lines with Dyneema® are compelling - upgrade today! Improves abrasion resistance and durability. Increases friction, aids handling & splicing.